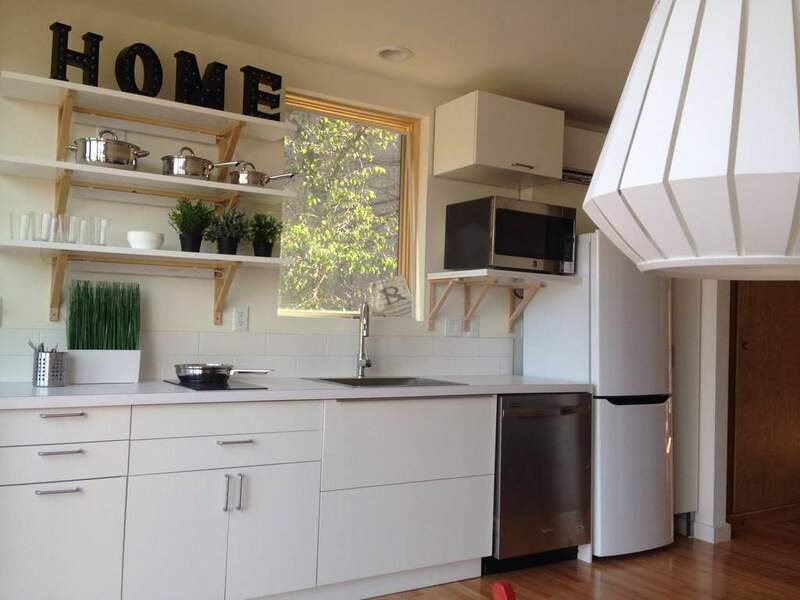 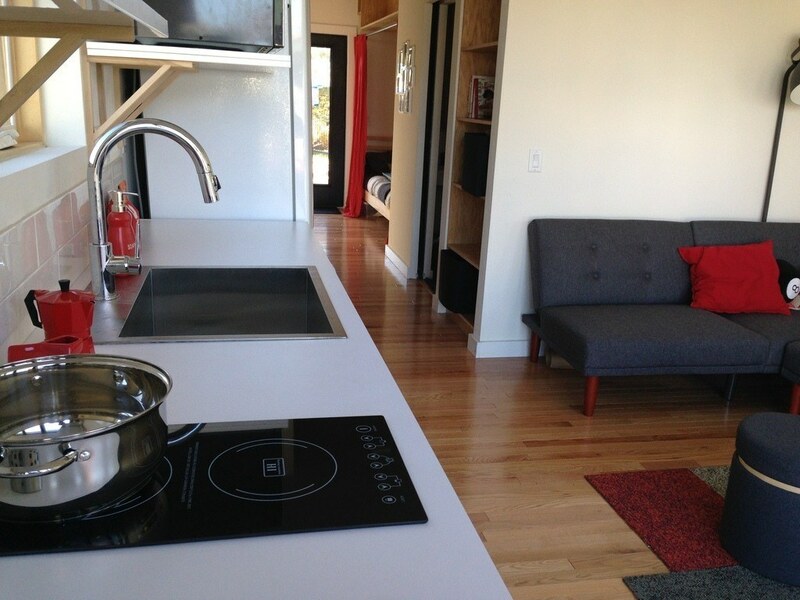 Check out this prefab living space that's designed as an affordable housing solution! The 385 sq ft home was built as an innovative housing solution that would offer the full amenities of a traditional home but with a small budget. 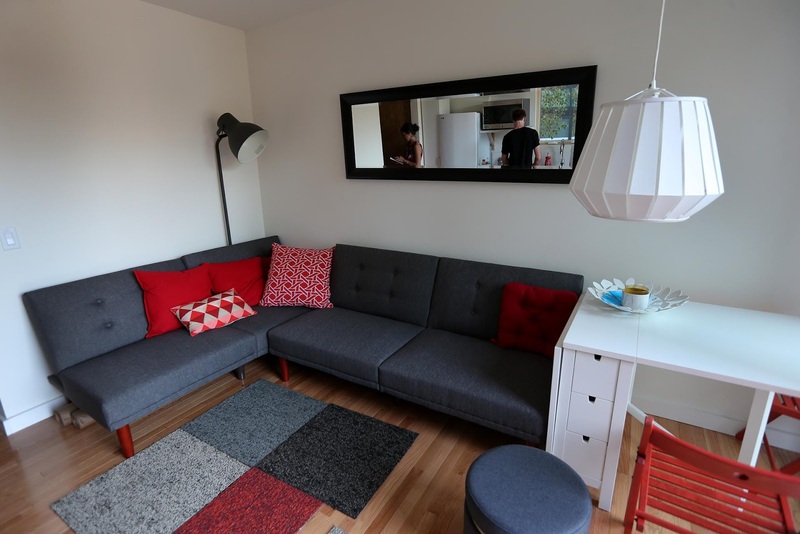 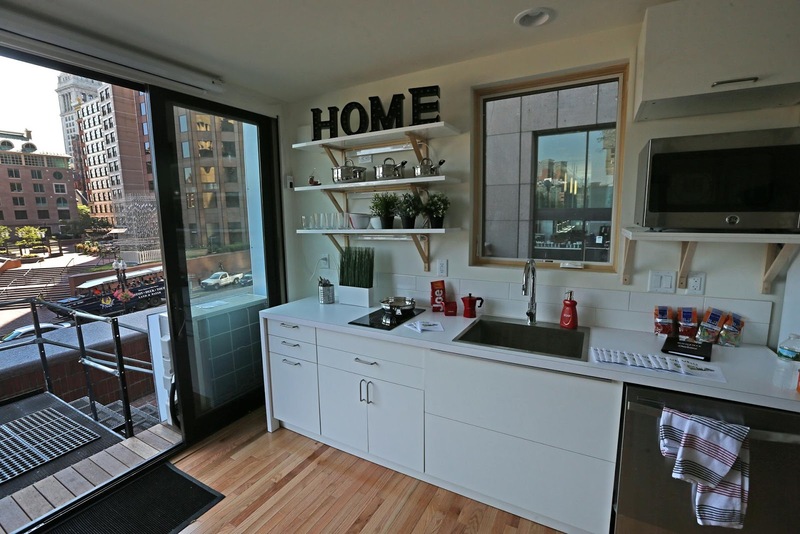 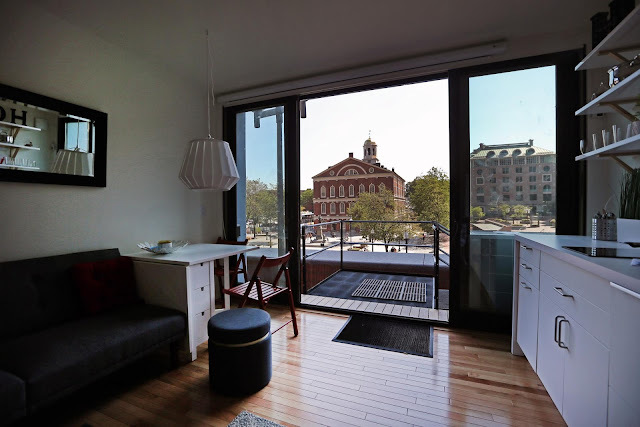 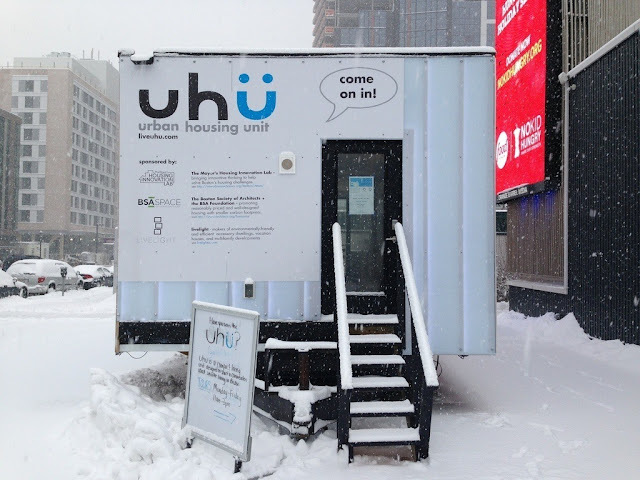 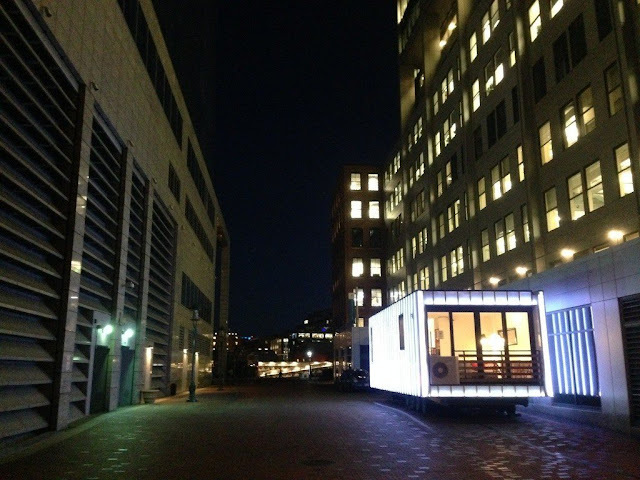 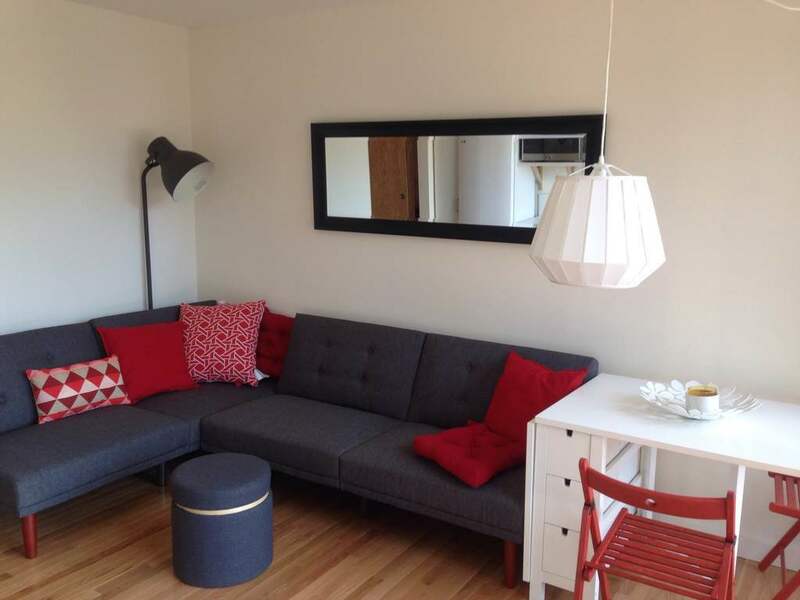 The home is named the Urban Housing Unit [Uhü for short (pronounced "yoohoo")] and made its debut this past summer in Boston. 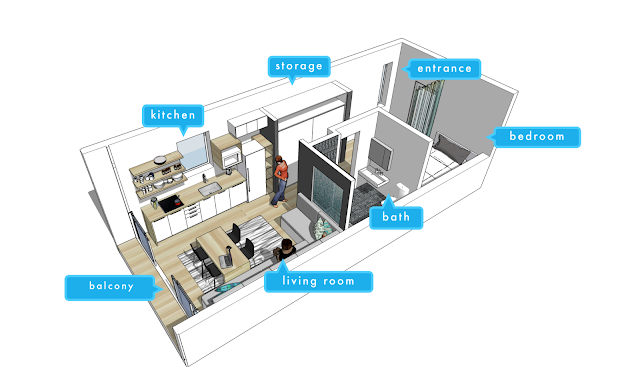 The home's interior features a bedroom, bathroom, kitchen, storage, living room, and a bathroom. 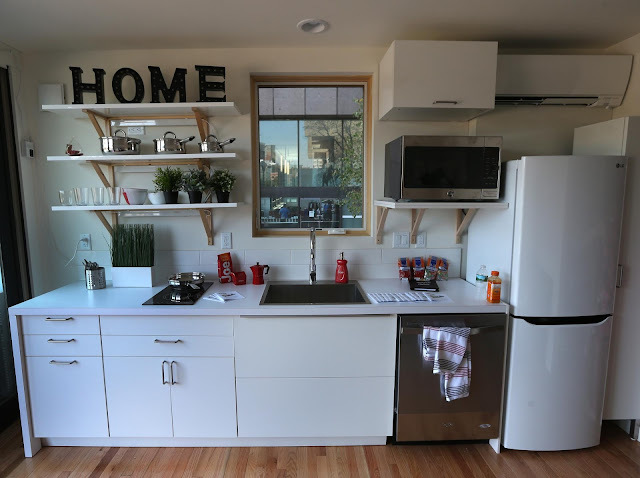 Its kitchen comes equipped with a two-burner induction cooktop, a duel microwave and convection oven unit, a full refrigerator, and a dishwasher. 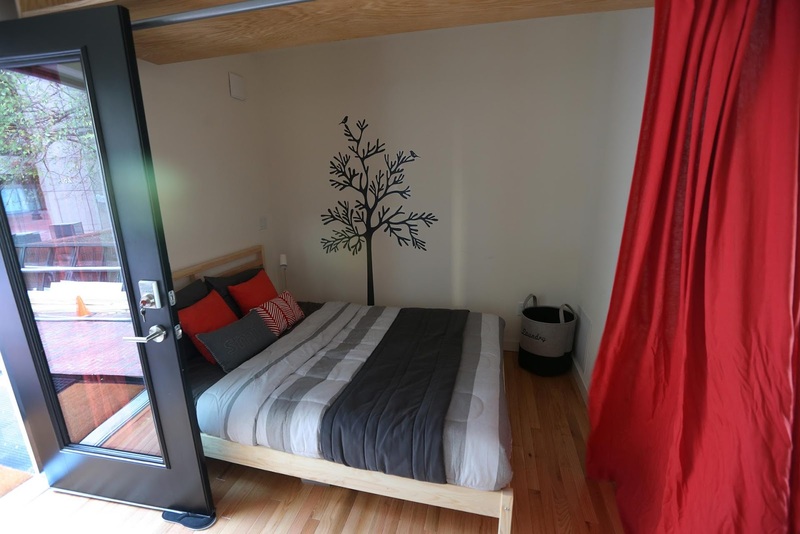 The Uhü also comes well insulated and has oak flooring throughout the home. According to the Boston Globe, the home is supposed to sell for $75,000, however, the one pictured here is currently listing on Tiny House Listings for $95,000.